Don’t believe what you’ve heard: Manufacturing in America is not dying. Quite the contrary, automation is increasing efficiency, lowering costs and creating an entirely new industry, one with more long-term potential for sustainability, growth and a highly skilled workforce. 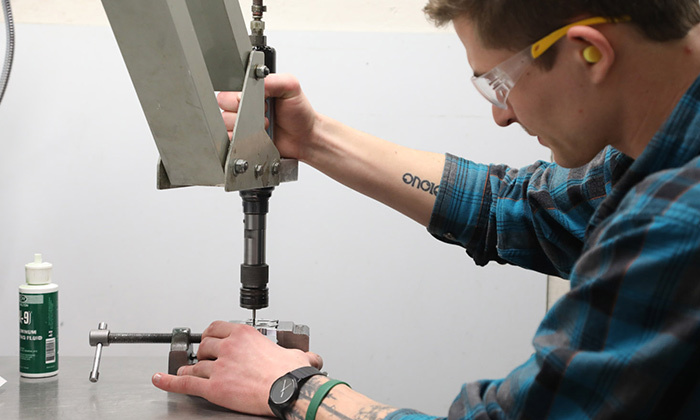 “It must become a national priority to dedicate the resources required to enhance the skills of our workforce so they align with the innovative practices that will further accelerate the modernization of manufacturing in America,” writes Steve Johnson, CEO of Missouri Partnership. As an example, Savannah Company has upped its game by incorporating more advanced technologies that allow for multitasking and better efficiency for their processes, like the Nakamura-Tome AS-200 CNC Live Tooling Lathe and the Zeiss Eclipse CMM. Both are very powerful instruments that improve accuracy and overall capabilities. The Nakamura-Tome machine combines the capabilities of a lathe and a milling machine and is also able to drill, tap, and slot parts. The multitasking that this machine accomplishes is key in bettering our productivity and efficiency and helps us complete parts faster with the same precision and accuracy. The Zeiss machine is one of our most important tools for quality assurance. It uses a mechanical probe attached to a moveable arm on a fixed bridge that rests above the table to check the flatness of surfaces in the X, Y, and Z planes as well as angles, bore holes, threaded holes and more. Combined with computer software and digital imaging, this machine allows for more precision in checking finished parts than other conventional methods and makes running parts easier and more efficient as time goes on. Ultimately, upgrading our systems allows us to invest in our people. We prioritize skills training, which allows our workers to evolve with the technology. So as our productivity grows, so do the skills and value of our team. Read more about the rebirth of American manufacturing at Manufacturing.net.